From your cooling system to your suspension and power steering systems, your BMW needs special treatment to stay in optimal condition through its life. With incredible service at rates 50% less than most dealers in the area, Bimmers Only is your #1 BMW repair shop in Dallas, TX. No one likes to see the “check engine” light illuminate on their dash, but it’s important to address the issue right away for best results. Often it’s a quick fix but other times it signals a deeper issue that needs to be corrected for your safety and the car’s. Bimmers Only also takes care of all recalls, whether that involves a stalled engine or reduced braking efficiency. Because we stand behind our workmanship and original BMW parts, fluids, and accessories, you get top-notch quality, reliability, and longevity leading to superior performance and longer lifespans. Is your BMW not handling like it should? Are you experiencing coolant leaks? 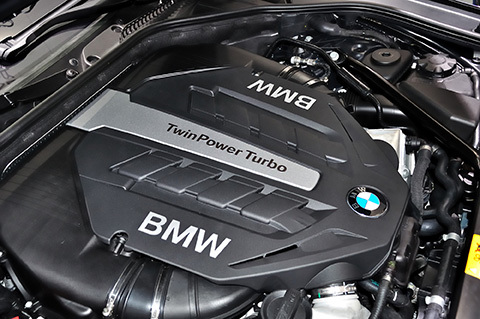 Whatever the reason prompting you for your call, rest easy knowing we are qualified BMW repair specialists in Dallas. Make an investment in your vehicle’s future with a repair shop that strives to meet and exceed your expectations not only on thorough repair service but also on friendly staff members who treat you like you’re our only customer. Visit our BMW repair services page to learn more about the services we offer. We are proud to say we have an A+ rating on the BBB, so call us today to see why we’re the best. That’s because we insist on a strict hiring process to ensure we employ only the best expert BMW vehicle technicians. This is a huge part in selecting a reputable mechanic for your BMW. The Federal Trade Commission suggests asking around for word of mouth recommendations from friends and family, shopping around by phone or online for the best deals, and asking if the company is licensed and certified. No problem there! Our technicians are factory trained by BMW of North America to keep them updated in the latest techniques. For expert BMW repair in the Dallas, TX area that you can rely on, look no further than Bimmers Only, where we treat your BMW like it’s ours. Call us now at 469-585-7718 to schedule a service or repair appointment.